A few years ago I began a relationship with a very troubled girl. Within 6 months of dating her I lost my job. A year later we had a child together and since then I have not been able to hold a job for 5 years. We parted ways about a year ago – I still pay for the upkeep of my son and pray for them daily – but the bad luck hasn’t abated. I’m still having a difficult time getting jobs and keeping them. My fishes in my aquariums have all died despite having been replaced several times. How can I shed off this run of bad luck? I’ve volunteered at my fire station, church, local nursery and it feels like all my good deeds haven’t resulted in better luck for me. Oh dear. The Chinese believe that certain women do carry an unlucky streak known as “broom stick life”– where once you marry her or be with her your luck is swept away by her presence. Perhaps she has this stroke of unluckiness – which is very sad indeed. But you now have a responsibility to look after her and your son, so you must do something about your feng shui to bring back some financial stability in your life. Start by revitalising your home – spend some money and effort refurbishing your home i.e. change the carpets, repaint the whole house. If you can afford it, change or repaint the roof. Then orientate your furniture in a way so that you can face all your good directions. Burn incense in your home regularly to purify the energy there. Taking these steps will transform your luck! Keep up the prayers and the volunteer work – they create good karma for you to enjoy helpful friends in your life. QMy relationship with my husband has turned negative after we moved into our new house. I discovered that we have a toilet in the SW corner. What should I do about it? Should I hang a full-length mirror on the door, or is the only option to break down the toilet and make it into empty space? Is there another way? My garage is in my NW and but I keep it clean, neat and tidy all the time. It only has bicycles there – is that ok? Regarding your Southwest– the best solution is to remove the toilet but in the meantime you can hang a full-length mirror outside the toilet door. Focus on activating the SW of your living room and bedrooms with plenty of crystal balls to make up for the SW toilet pressing down on your marriage luck. On your NW – this is not ideal – but it’s not entirely negative. Yes keep it tidy and clean. Suggest you also place large white quartz crystals in the NW to activate the luck of your husband (the Patriarch). MY LANDLORD MIGHT MAKE ME MOVE! QWe’ve just moved into a new rental apartment and our tenancy expires next year. I’ve just heard that my landlord is thinking of selling the property and I’m worried that if he does, the new owner might not allow us to stay. My husband and I are trying for a baby and if we succeed in getting pregnant, I’m afraid that moving house while pregnant may cause the baby problems (as Chinese believe cannot move house while pregnant). Should I break the lease and move to my inlaw’s place now or wait? AIt depends on whether you would like to stay or leave. If you wish to stay, then you can request the help of your local spirit landlords of your new home and ask them to help you stay. Offer them incense a few times a week and chant the incense mantra: NAMA SARVA TATAGATHA AVALOKITE OM SAMBARA SAMBARA HUNG 21 times! It is true that moving while pregnant is not advisable – so perhaps the best solution is to move to your in-law’s place while you still can. Help from in-laws while nursing a pregnancy or new baby is always a gift- you’ll be so grateful you have them! IS IT OK TO USE A SECOND-HAND DESIGNER BAG? QMy sister loves buying new hand bags so when she gets a new one, I inherit her old ones! Recently she gave me one of her older LV handbags! I heard that it is not auspicious to use second-hand handbags. It’s a beautiful handbag – something I won’t be able to afford myself – so please advise! Generally it is always more auspicious to get a brand-new handbag but if the handbag she has given you is in good condition – almost like new –then it is OK. If it has tears, holes and scratches then I suggest you do not use it. You should not receive an empty handbag – ask your sister to place an angpow containing some money inside and then it becomes very auspicious. When you receive the bag it is a good idea to cleanse it of any negative energy using incense as you chant om ah hum a few times. QMy NW-facing balcony overlooks a sharp pointed canopy of the adjacent building in the left half. The right half overlooks a natural body of water. Is this auspicious ? Should I place Fu Dogs in the balcony corners? My dear… since the poison arrow from the canopy is coming from your NW direction (which is metal element) you can minimise the harmful effects by using fire energy. Install a spot light on the top of your balcony roof and shine it back directly at the direction of the canopy. This is an effective way to diffuse the poison arrow. As for the body of water – this is of course very auspicious! Any view of the water from your home is always excellent! It’s also a good idea to place your Fu Dogs outside at the two corners of your balcony. QI’m born in 1993 and my kua number is 7. At the moment my room is such that I can only sleep with my head pointed towards the North, which is my HO HAI (Bad Luck) direction. What can I do to improve this situation? Since moving in here I can feel that my luck has gone a little. I can’t move anywhere else as I’m sharing this apt with my friends. Here is what I suggest. Get a headboard for your bed – one that has some space to place objects on top of it. IKEA has plenty of these type of headboards. 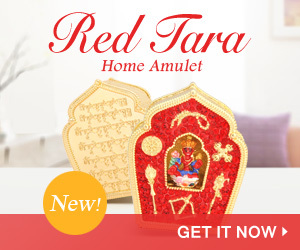 Then at the point where your head is located, place a metallic cure – the best is a Wulou (as this will safeguard your health) or the Golden Victory Banner – as this will also activate your career and transform the Ho Hai into good luck! Whatever you place there must be made of metal. QMy neighbour has been renovating their apartment for over 3 months and throughout this time, my husband, who works from home has noticed a drop in his business. He is a physiotherapist/masseuse and his clients have been complaining about the noise! What can be done to put a stop to this? Oh dear this is rather unfortunate. Ask your husband to find a temporary place elsewhere to hold his therapy sessions until the renovation is completed. Meanwhile, I suggest making plenty of incense offerings to the local landlords and requesting them to help speed up and remove any obstacles for the renovation to complete. I’m sure your neighbour is not purposely prolonging the renovation – nobody likes putting up with renovating, and I can assure you the local spirit landlords don’t either! So appease them with incense! QI’ve been living with a married man for 6 years, but suddenly he’s had a change of heart and has gone back to his family. He still sees me occasionally and still promises to divorce his wife and marry me. I love him so much and I do not depend on him financially – but I just want him back with me! Somebody gave me an amethyst geode and advised me to place it under the bed. Will this help? I’m terribly hurt and very confused about what to do! Oh dear what an impossible situation and I truly sympathise. I don’t usually condone relationships with married men (or women) for the simple reason that it is so destructive for everyone involved! I can feel that your love for him is genuine and true, but my advice really is to move on! He has shown you that he cannot remain faithful to his wife and to you, and it seems very likely he will not honour his promise or marriage to you. In any case, do you really want to start a marriage – an event so auspicious – with such betrayal and destructive energy all over it? My advice is to place the Amethyst Geode in your Southwest corner with the intention of meeting someone new. I really do wish you all the best with finding someone more worthy of your love.